WHY A LANGUAGE IMMERSION PRESCHOOL IN HOUSTON? 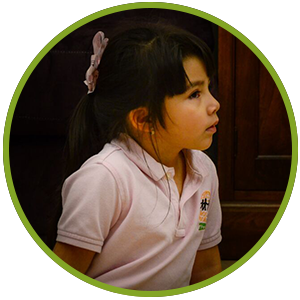 Crossing Borders International Preschool takes child care and learning to the next level. 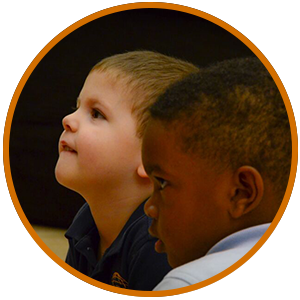 We are a language immersion preschool for children ages 18 months to 5 years old. Children are taught a new language, plus age-appropriate academics in a formal school environment through the use of highly effective immersion-style teaching methods. 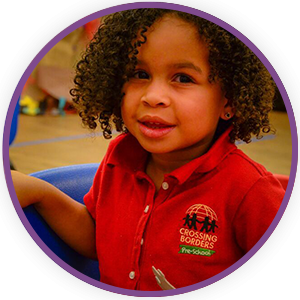 Crossing Borders International Preschool is perfect for families who believe in and understand the importance of diversity, culture, and the ability to speak multiple languages in our global economy. Children are surrounded by teachers and staff whose native language is the target language for the child. 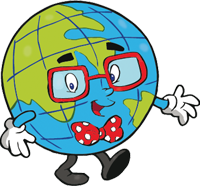 Crossing Borders International Preschool programs strive to have each child understanding and speaking a second language at their age-appropriate levels after only one year. 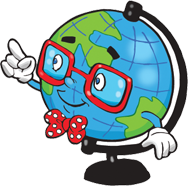 Crossing Borders International Preschool offers: Spanish, Mandarin, French, Arabic and English (ESL) immersion for children. Come and check us out! Come and see why we are a better daycare option for your family. Discover the best alternative to basic daycare or child care in Houston. Our Houston location in the heart of Rice Village now has limited spaces available. Call (281) 465-0899 to schedule your tour or to reserve your space. For our youngest preschool students, we make our environment very warm, safe and nurturing. They are immersed in the target language (Spanish, French, Mandarin, Arabic and/or English/ESL). Teachers introduce the children’s new language and culture through play, songs, individual and group interactions, and age-appropriate activities that capture and hold their attention. Students develop fine motor and gross motor skills that are important to strengthen their muscles and help them master age-appropriate physical growth. We teach our youngest students topics that deal with their surrounding environment. Why are we better than a typical daycare? At Crossing Borders International Preschool, your child will become fluent in a second language while participating in our academic program. The academic schedule for toddlers and preschoolers is 9:00 a.m. to 3:30 p.m., Monday through Friday. Extended hours are offered from 7:00 a.m. to 9:00 a.m. and 4:00 p.m. to 6:00 p.m. Call (281) 465-0899 for more details. Through our language immersion program, Pre-K students learn in a social and academic environment that helps them to become fluent multilingual speakers. Students are highly engaged and proactively practicing and speaking their new language. 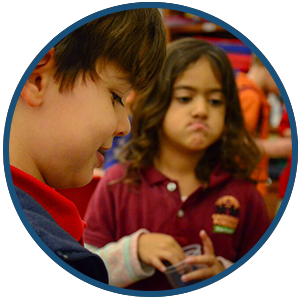 Our language immersion curriculum focuses on math, science, reading and writing skills, as well as social interaction. Teachers continue to build upon lessons taught in the earlier years. Interaction through games, songs, and a variety of activities help children achieve their learning goals. Are you looking for an academic program for your young child? Schedule a tour at our Houston location. We know you will be impressed by our students’ results in language as well as academic skills in reading, writing, math, and more. The academic schedule for toddlers and preschool is 9:00 a.m. to 3:30 p.m., Monday through Friday. Extended hours are offered from 7:00 a.m. to 9:00 a.m. and 3:30 p.m. to 6:00 p.m.